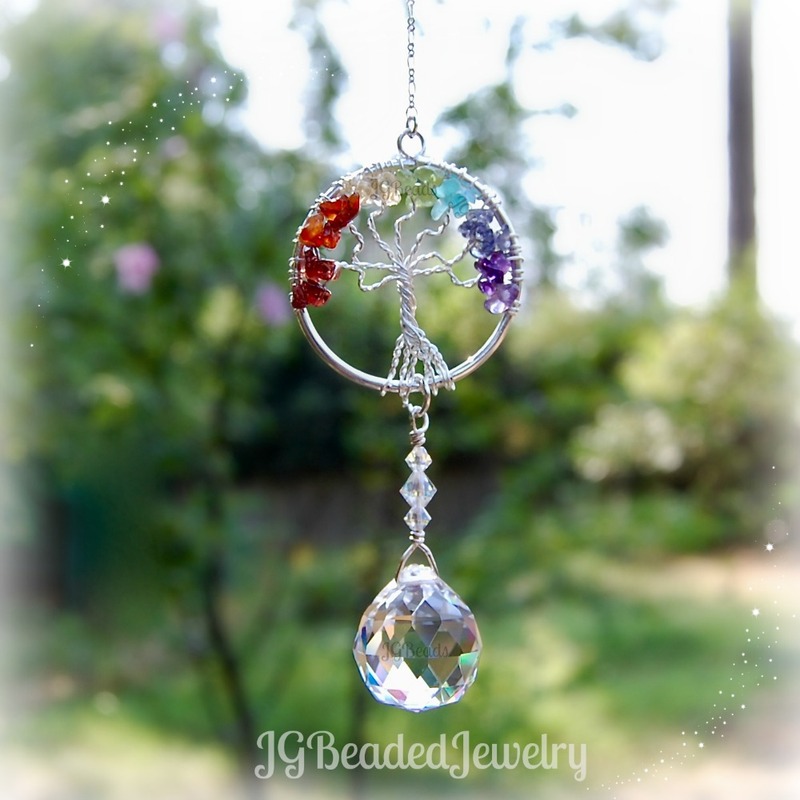 This tree of life rainbow suncatcher crystal decoration is uniquely designed and crafted for the rearview mirror, a window at home or wherever you choose! The pendant measures 1.5 inches in diameter and is embellished with garnet, carnelian, citrine, peridot, aquamarine, iolite and amethyst gemstones along with a 20mm prism crystal ball and Swarovski crystals! 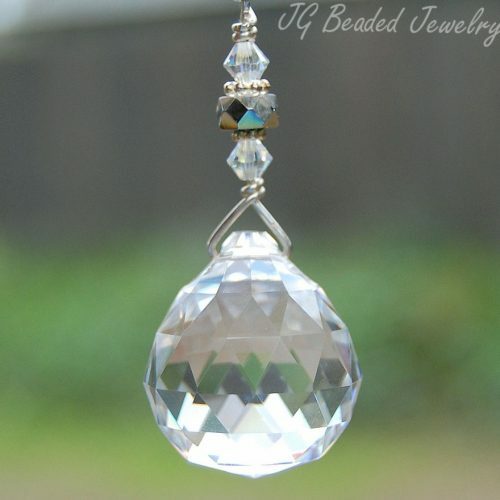 Clear Quartz is the most powerful healing stone and is believed to protect against negative energy. It is used for cleansing and balancing all of the chakras. 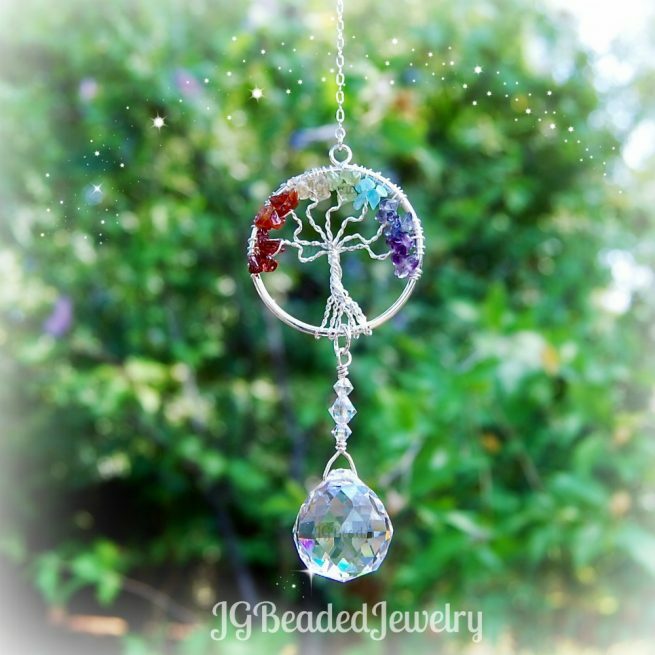 Each tree of life crystal suncatcher will vary as the stones are natural gemstone chips. Offering many unique Rearview Mirror Decorations and Crystal Suncatchers!